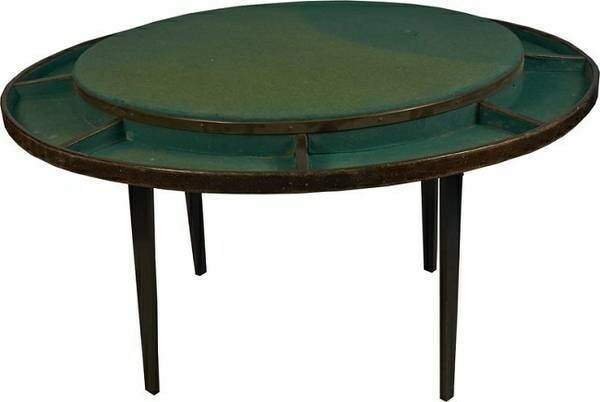 Antique Old West Round Poker Table Early 1900. Diameter is 57" across. Fold down legs. A genuine Antique Old West Round Poker Table Early 1900. Diameter is 56" across. It has great felt and 8 sectional dividers where chips, cards, money, etc could be kept for each players. Fold down legs. Easy to story away. Please email cowboyron@cowboycabin.com with questions or call 406 270-2842.